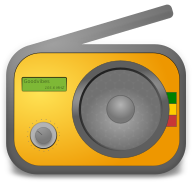 Goodvibes is an internet radio player for GNU/Linux. It aims to be light, simple, straightforward. The main interface is quite stripped-down, but there’s a couple settings and features waiting for those who dare to open the Preferences window! multimedia keys support - ie. the <Play/Pause>, <Previous> and <Next> keys that are present on most keyboards. notifications - ie. information that pops up when the song change. do not suspend - ie. prevent the system from suspending while a radio is playing. autoplay - ie. start playing the last radio when you start the application. MPRIS2 support - ie. integration with modern desktops. And for those of you who live mainly in a terminal and avoid graphical user interfaces, you should know that you can build Goodvibes without GUI, and control it via the command-line client provided. Goodvibes is an open-source software, released under the GPLv3. It relies on various open-source libraries. The core building blocks are provided by GLib, the HTTP bits are handled by LibSoup, the audio part is left to GStreamer, and the graphical user interface is written with GTK+. Development takes place on GitLab, and this is where you should head if you want to get in touch. El Boulangero is the main author, and is the one writing these lines right now. Translation happens on Weblate. If you want to contribute to the translation effort, don’t be shy, get involved! Documentation is hosted by Read the Docs on this very page (you’re already there). Artwork is made by Hector Lahminèwskï. Feel free to visit his homepage Lahminewski Lab and get in touch. GRadio is a GTK3 app for finding and listening to internet radio stations. Pithos is a native Pandora Radio client for Linux. RadioTray (unmaintained) is an online radio streaming player that runs on a Linux system tray.